Extra large size fanny pack. Outer organizer holds 3 credit cards, ID, pen, key hook, zip mesh pouch. Large zip section behind. Two small pockets on each side. 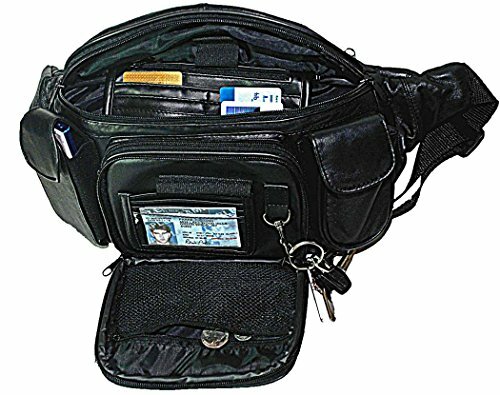 Inner organizer holds 6 credit cards, pen/keys, zip coin pouch, smartphone. Large back zip section. Approx measurements: 17″ x 9″ x 5″ . XL waist sizes fits 34-50 inches with adjustable strap , and XXL waist sizes fits 44-70 inches with adjustable strap.